Looking for the best in-house exclusive offers? Look no further – LeadBit has you covered. With more than 5 years on the market this network made a strong brand that can help you make a real profit. See this guide to know how you can boost your profit. How could you earn with LeadBit affiliate program? 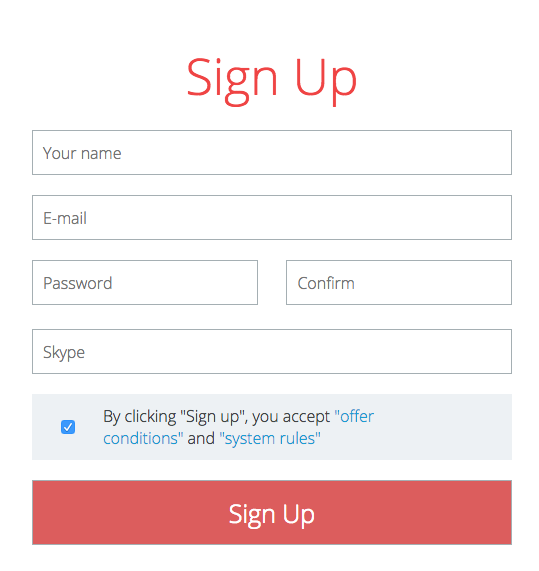 To sign up you need actual email, password and skype login. After you account is approved you will see the main menu sections. The offers base is located in the Offers section. As the number of offers is over several hundreds, we recommend to study the filtering options located on the left part of section. A brief description is available for each offer. To see the detailed information on a required offer click Offer description button. After you click Submit button the offer will be transferred to My offers section. To integrate LeadBit and BeMob you should set the correct postback otherwise the tracker will not receive the data on conversions. Log in with your BeMob account and click Affiliate networks tab. Then press New from template. We love to make your work easier, that’s why LeadBit has been already added to the tracker templates. Click Copy button to place the postback on the side of LeadBit. Appending BeMob click ID option allows to add the tracker ID to all offers from this affiliate network. 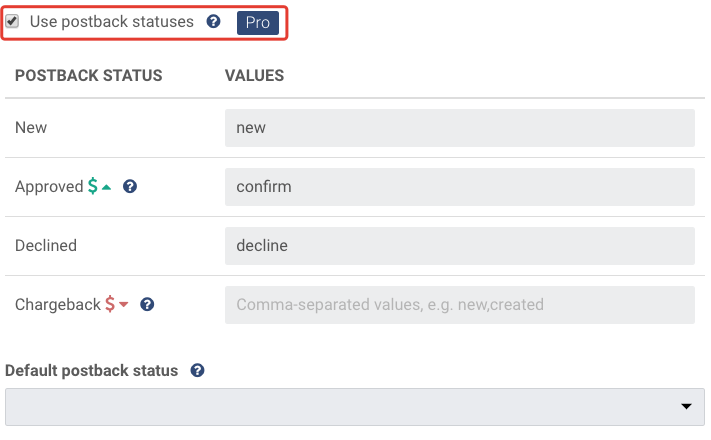 To enrich your reports with the data on conversion statuses select Use postback statuses option. Then introduce corresponding statuses into each field. Don’t forget to select default postback status for cases when our tracker receives a conversion with undefined status. You can also accept postbacks from the certain list of IP addresses and double postbacks. Note: You should check if these actions don’t violate terms and conditions of your network. Click Save button to make the network available for your future campaigns. 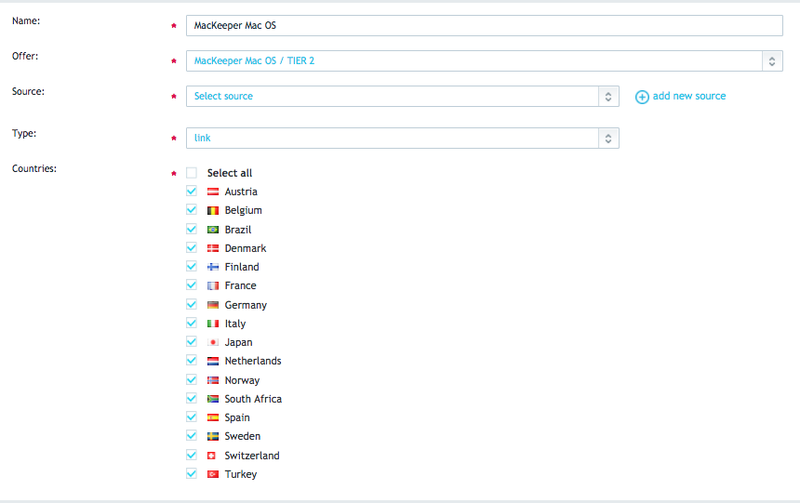 To add a global postback you should click Tools section and find Global postback tab. Press Edit global postback button to add postback URL. 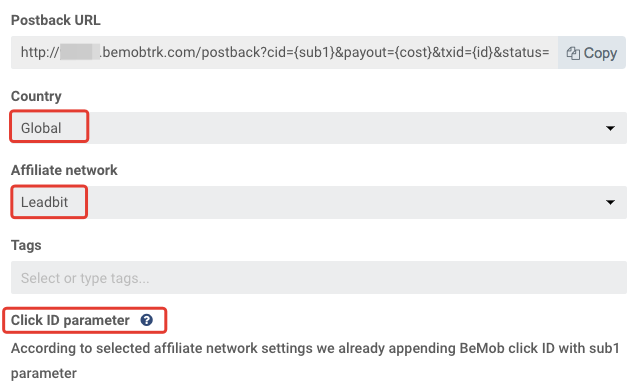 Place the postback URL that you’ve copied earlier from BeMob and select all the option below referring to the conversion status. After the settings are saved this postback will be available for all the offers in this network. You can also set the postback for each offer separately. In this case you should start with selecting an offer. After the offer is available you should create Tracking URL. 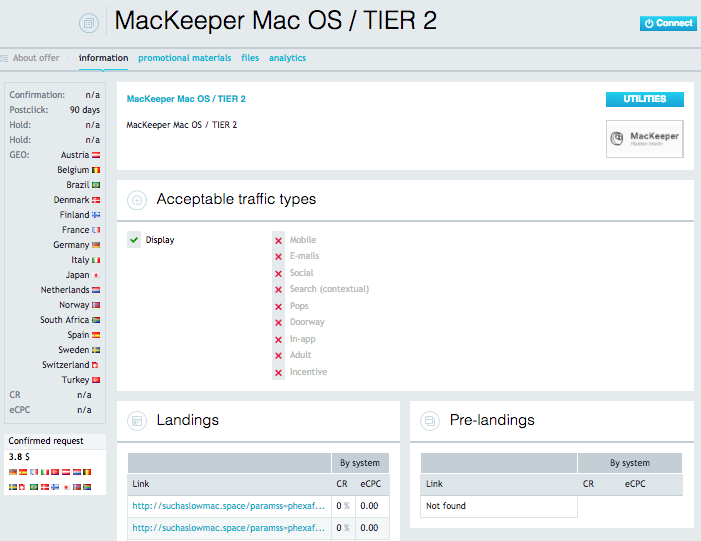 Don’t forget to select one or several landing pages. Now you can place the postback URL from the tracker into corresponding fields. 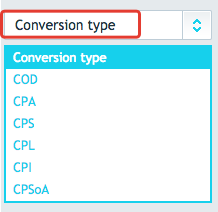 Note: You can set the 3 different postback URLs for each step of conversion. 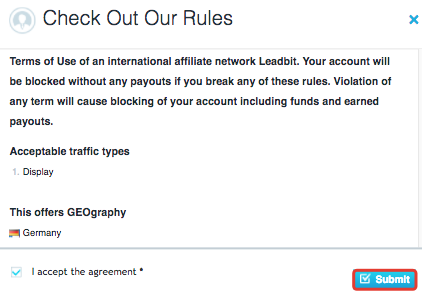 Hints & Tips: With LeadBit you can set the traffic back URL to redirect your traffic to a web site or another affiliate offer, when an affiliate network doesn’t accept the traffic from certain geo. This allows you to work with traffic in the most rational way! After you finish with the setup process save the settings. Move to your BeMob account and find Offers section on the panel to add a new offer. Introduce the offer name (step 1), then place offer URL from LeadBit into the corresponding field (step 2). Select the geo of your offer. 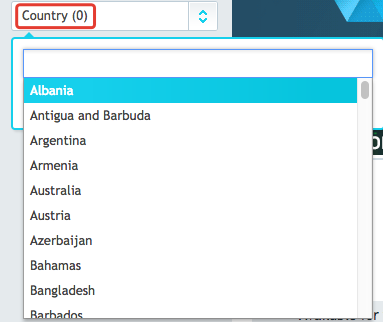 Note: If your offer is intended for multiple geos, leave the Global parameter in the name and country selection fields by default. 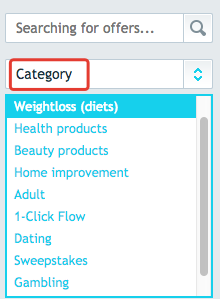 After you choose geo, you should select Leadbit from the drop-down list of networks. The corresponding for this network postback will appear automatically. When selecting a network, the click ID will be filled automatically if you’ve added the ID of click at the stage of affiliate network setting. Note: The conversion payout will be performed in the selected currency. Payout is the value of revenue for each conversion. There are two payout types available: Auto and Manual. For LeadBit we select Auto, because this network passes the data on payout in the dynamic token. Hints & Tips: With BeMob it is available to set the daily cap, if your offer has a limit for the amount of conversions per day. This essential option prevents the traffic loss when the limit is reached. Don’t forget to click Save to make this offer available for your future campaigns. Also we would like to leave a quick reminder that if you are a LeadBit affiliate, your bonus from BeMob is available in Bonuses Section on the panel. That’s how you can integrate BeMob with LeadBit to skyrocket your revenues! Good luck to you! Want to share your idea with us or ask a question? Contact us!